Note: This template is only available to customers on Pro plans or as part of the 'Creation Pack' add on. Not only do Branching Scenarios make online learning more fun and engaging, they are also proven to be an excellent way to help participants learn at a deeper level. See this article on the Top 7 Benefits of using branching scenarios in eLearning if you'd like to know why. As a learner, I am presented with a scenario that challenges me by requiring me to make a decision. Once I’ve made a decision, I am presented with a consequence - which in turn provides me more challenges and choices. With each decision made, the story unfolds in an unpredictable way until I finally reach an outcome which could be one of many. 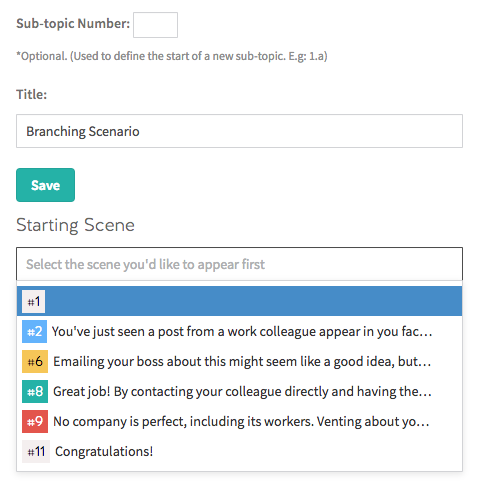 You can find the Branching Scenario Template under the 'Interactive/Challenge' templates menu on the lesson outline screen. You can drag as many templates as you want onto the outline. To edit any of the templates, just click on them to bring up the settings for the template in the left-hand-side panel. 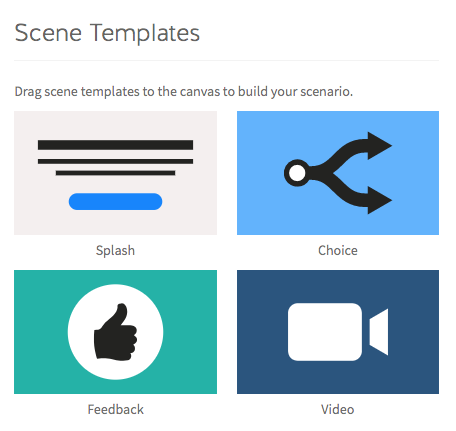 To edit the scene template, just click on the template widget on the scenario outline and the left panel will provide you with options to edit the content and appearance of the scene. Clicking on the 'Appearance' tab brings up a preview of the scene and options to change font sizes, colours, and alignment of most of each of the elements. The choice template also has a content and appearance tabs for editing the content and appearance of the elements on the screen. Switch between positive, neutral, or negative feedback pop-ups. 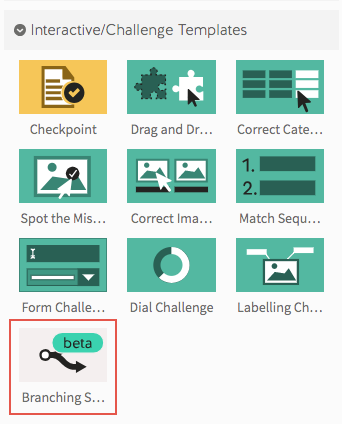 This changes the colour of the feedback, providing the learner with a visual reference of how they're doing. 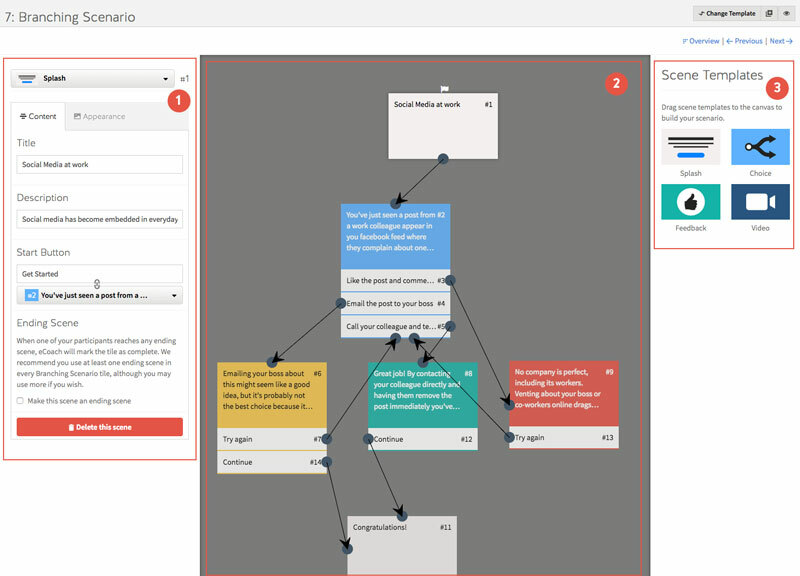 It also provides you with a visual reference within the scenario outline when building your branching scenario. The video template allows the user to add a video that would typically appear before a choice template in order for the creator to pose a scenario related to the video. 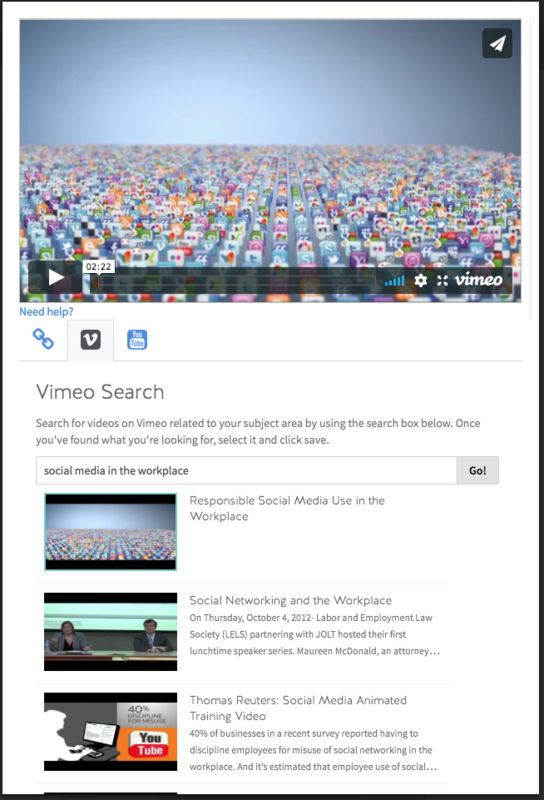 Just as with the Video Lesson template, you can search for videos on YouTube and Vimeo. 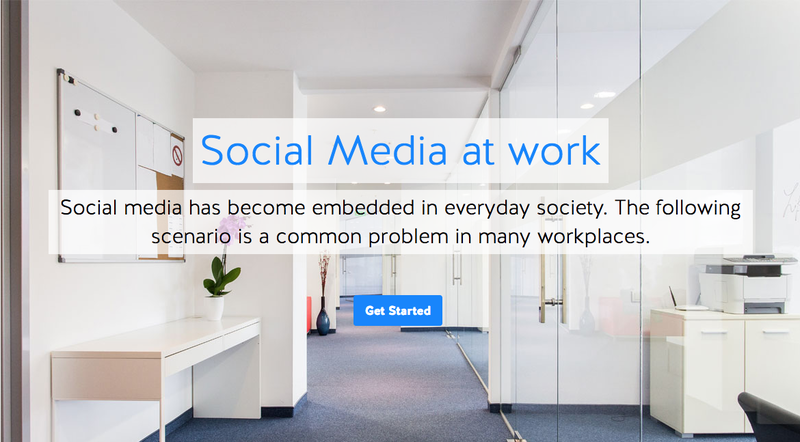 As the Branching Scenario template is an Interactive/Challenge template, Coassemble will need to know if the challenge has completed. We've added an option to check whether a scene is the final scene in the scenario so that Coassemble can mark it as completed. Please note that you can have multiple end scenes.